[[Image:=Mahara_Box_v1.jpg|Mahara_Box_v1.jpg]]The '''[https://launchpad.net/mahara/+download latest stable version]''' is recommended for most deployments of Mahara. A demonstration installation of the latest stable Mahara is available at [http://demo.mahara.org/ demo.mahara.org]. [[Image:Mahara_Box_v1.jpg|Mahara_Box_v1.jpg]]The '''[https://launchpad.net/mahara/+download latest stable version]''' is recommended for most deployments of Mahara. A demonstration installation of the latest stable Mahara is available at [http://demo.mahara.org/ demo.mahara.org]. Mahara is in Debian from Lenny onwards - so you may already be able to <code>apt-get install mahara</code> if you're using Debian. Mahara is also in Ubuntu from Intrepid Ibex and beyond. Mahara_Box_v1.jpgThe latest stable version is recommended for most deployments of Mahara. A demonstration installation of the latest stable Mahara is available at demo.mahara.org. Mahara is in Debian from Lenny onwards - so you may already be able to apt-get install mahara if you're using Debian. Mahara is also in Ubuntu from Intrepid Ibex and beyond. Version 1.0.4 is in Debian Lenny (and will be for the duration of Lenny's release). Sid is currently tracking 1.2. If you wish to see what is coming in the next major version of Mahara, you can download a snapshot of trunk from the git repository, which you can browse online at http://gitorious.org/mahara/mahara. Expect to find bugs in trunk snapshots and development releases! How you install git depends on you OS/distribution. For Debian and Ubuntu you generally need to install git-core. Mahara has language packs for several languages available, and more are being added all the time. The Language Packs page lists the currently available language packs. 'Planning to translate Mahara into your language'? You can find more information on this page. There is a growing list of themes for Mahara. 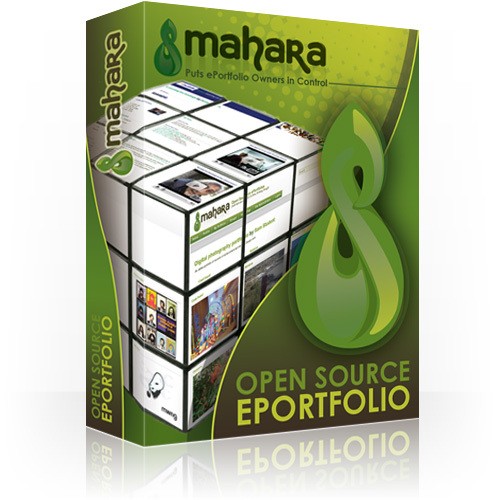 See the Mahara Themes group to view and download them. Also, people are beginning to contribute plugins. See the Plugins page for more about those.